Planning a ferry to Spain? Direct Ferries has a huge variety of routes with a great range of times and dates to suit your travel plans. Can you get a ferry to Spain? As well as the ferries between Spanish islands and to the mainland, you can catch a ferry from the UK, Ireland, France, Italy and North Africa. If you are catching a ferry to northern Spain, from the UK and Ireland there is the ferry to Bilbao and a ferry to Santander, ideal options if you are planning to travel to Spain with a car, motor home or are making the trip with your pet. 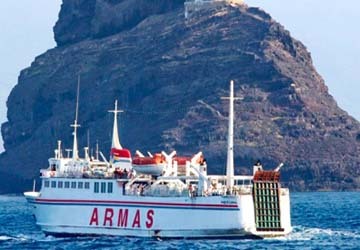 If you choose to go to Spain by ferry, on the Spanish mainland you’ll be able to sail from a range of different ports. 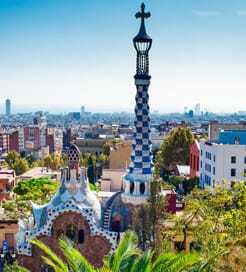 These include popular destinations like Barcelona, Valencia, Cadiz, Huelva and Alicante. If you want to drive many routes provide a car ferry to Spain. How much is the ferry to Spain? If you are looking for a cheap ferry to Spain, use our handy fare finder tool and the find the most competitive ticket prices, the destination you want and at a time and date that suits you. Also, sign up for our email newsletter to receive new and exclusive deals.